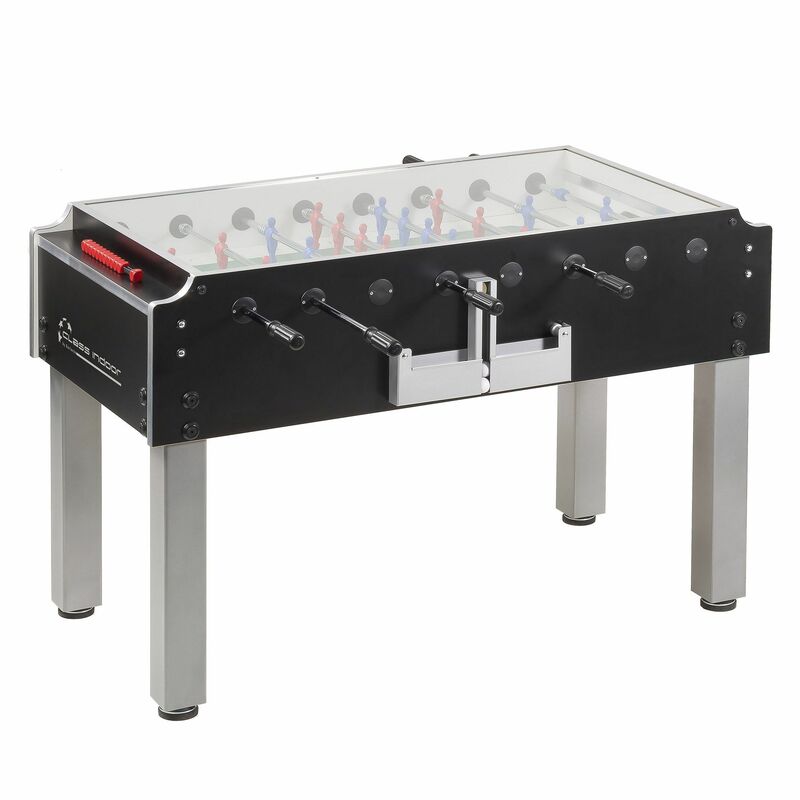 The Garlando Class is a heavy duty football table with a sleek black and silver design and a tempered glass top, as well as a sanded glass playing field. Ensuring fun, yet quieter game than tables with an open top, it is perfect for youth clubs and offices and has a 25mm thick MDF cabinet with melamine coating, sturdy 9cm x 9cm (3.5” x 3.5”) legs and 16mm telescopic safety rods. There is also a fully rotating (360 degrees) goalkeeper and the table offers leg levellers for a perfect playing surface. The red and blue players are moulded onto the bars and the steel roller bearings provide a super smooth rod action. The table features ergonomic handles for a comfortable grip and comes complete with 10 standard white balls. for submitting product information about Garlando Class Football Table We aim to answer all questions within 2-3 days. 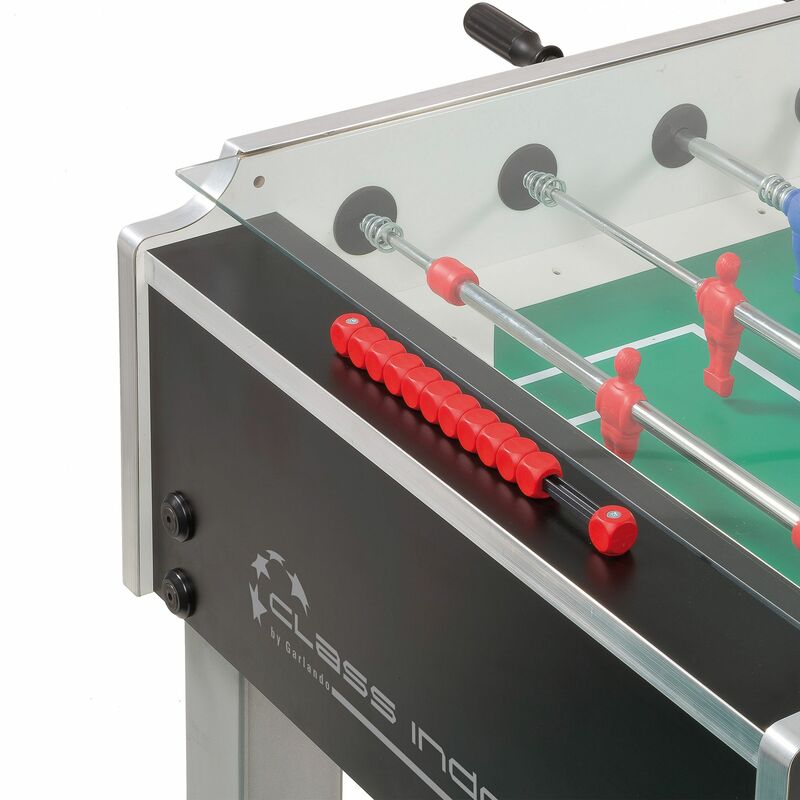 for submitting product information about Garlando Class Football Table. We aim to answer all questions within 2-3 days. If you provided your name and email address, we will email you as soon as the answer is published. for submitting product review about Garlando Class Football Table.